...since I first sat outside in the sun and commanded myself to write words down on paper in a spontaneous short story exercise. It was the first and only time I have ever done anything like that. It was exciting, invigorating, unpredictable. And it was the beginning of something that has become the focus of all my creative pursuits for the last 11 months. Who would have known? I have been having so much fun learning - reading - thinking - plotting - imagining...it's truly been the fastest year of my life. Ideating eight hours a day. 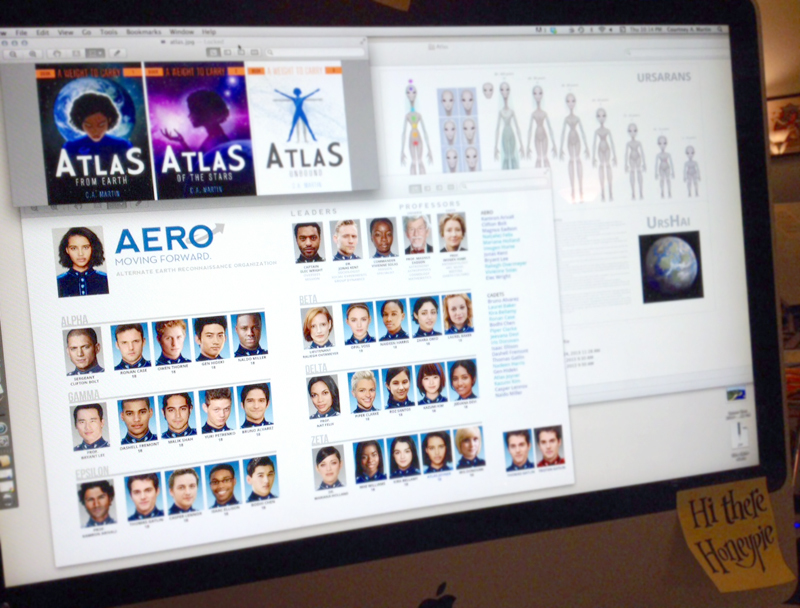 Researching science topics, taking pages of notes in my journals - heck, entire days have been spent just Photoshopping and creating images of the characters in my mind so I can see them more clearly as I write. Everyday is a new thinking adventure. I haven't illustrated anything for myself in a year. My last freelance project was 5 months ago. I've never been happier or more fulfilled. And I've barely even begun. Attempting to conceive a YA/new adult sci-fi fiction trilogy with high level, big picture concepts and thematic undercurrents is a pretty daunting task, particularly when done by someone who hasn't a clue how to do it. And yet I forge ahead...not for myself or for vainglory..not even for my own delusions of grandeur....but because my imaginary friends so very much want to be real. Only I can fulfill that wish. So when the voice in my head belittles my ambitions with taunts of You're not good enough!, I close my eyes and strain my ears, and I hear them. Softly calling. Patiently waiting on the other side. I hear you...I tell them.